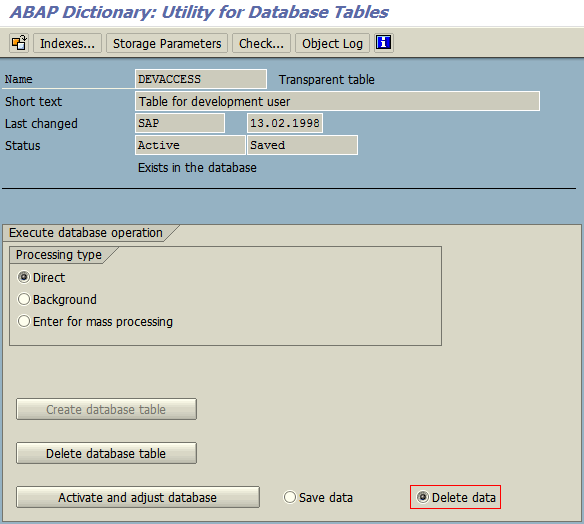 a check, many auditors perform on your productive SAP systems is whether any developer keys exist (in table DEVACCESS). If there are any, this might become a finding you can easily avoid (… although your system is properly protected against changes in SCC4 and SE03 :roll:). 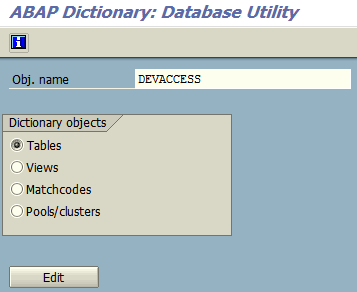 Select "Delete data", then click "Activate and adjust database"
Note: This changes the activation log (go to SE11, choose DEVACCESS and click Utilities » Activation Log).